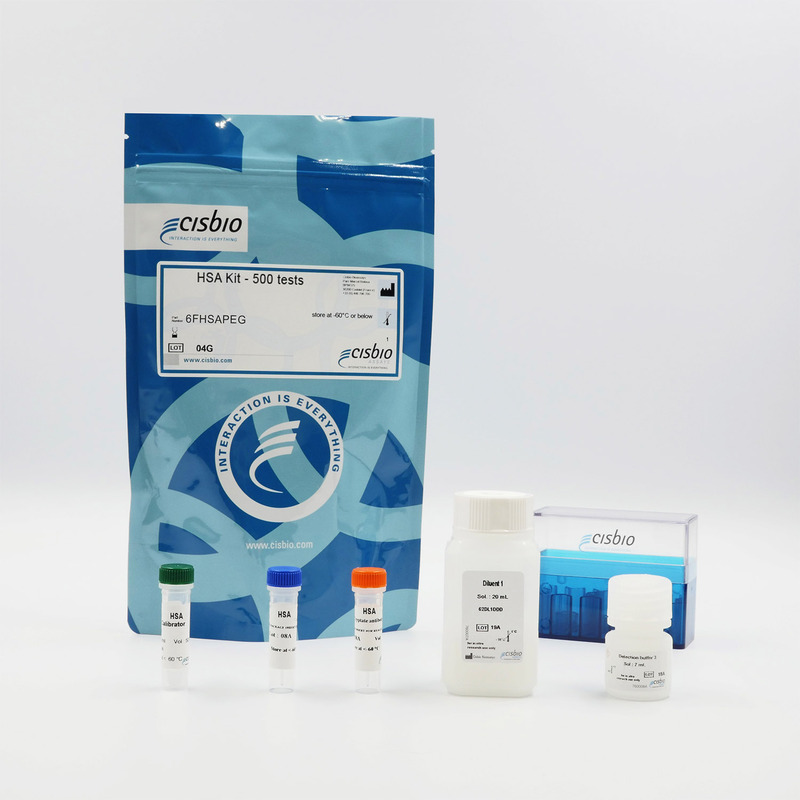 The HSA kit is designed for the rapid detection of HSA in cell supernatant. Human Serum Albumin (HSA) is a protein produced in the liver that represents the most abundant component in human blood plasma. Serum Albumin's main function is the regulation of the colloidal osmotic pressure of blood. The kit is intended for the specific and fast quantification of HSA in cell supernatants. The HSA assay is a sandwich immunoassay. The assay uses two specific anti-human serum albumin antibodies, one labelled with Eu3+-Cryptate and the other with d2. The specific signal is proportional to the concentration of HSA present in the sample. This homogeneous assay requires only a single reagent addition (by premixing detecting reagents) and an ON incubation for the quantitative detection of CHO HCP. The HSA assay features a streamlined protocol with only one incubation step following the sample/calibrator and Antibody conjugates dispensing. The antibodies labelled with HTRF donor and acceptor may be pre-mixed and added in a single dispensing step to further streamline the assay procedure. This protocol requires only a single ON incubation period at RT. Primary Human Hepatocyte supernatants from different single donors (A&B) and donor pool (C&D) were thawed and placed in culture. The supernatants were tested the first day of culture and 4 days after.